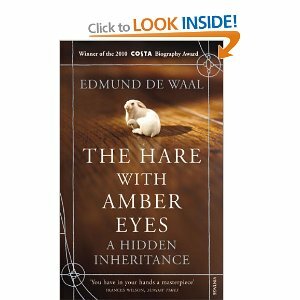 Every chapter enthrals with Edmund de Waal’s account of his family history via the legacy of the netsuke collection, the tiny Japanese ivory carvings and, wrapped around these precious objects, the lives of Family Ephrussi, wealthy Jewish bankers who had amassed untold riches as grain merchants in Odessa in the nineteenth century before establishing themselves in Vienna. De Waal, a renowned ceramicist and authority on Japanese art, takes the reader on a journey through art and history in an effort to discover the link between his ancestors and these beautiful, tactile objects. This is more than just a memoir or family history, it is a commentary upon the meaning of art in everyday life, and how profound a connection can exist between the physical and the aesthetic or emotional. 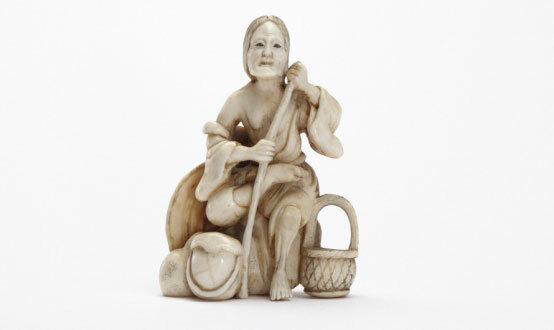 The netsuke are but a small part of the art collected by the Ephrussi, their value is small in comparison to the Impressionist paintings purchased by Charles Ephrussi in late nineteenth century Paris, but they provide a thread that meanders through generations of wealth, power, refinement, and horrific, rapid destruction on a heartbreaking scale. De Waal’s tale is a long and complex one. It dances between Odessa, Vienna, and Paris as the Ephrussi join the Rothschilds amongst the financial elite of Europe. Charles D’Ephrussi, freed from responsibilities in the family empire, begins to establish himself at the pinnacle of the Paris art world, and is at the heart of the Japonisme movement – the interest in Japanese art that swept across Europe in the 1870s. He was a patron of Manet and Renoir, friends with Proust, and owner of the Gazette des Beaux-Arts magazine. It was he that purchased the netsuke and appreciated the joy that comes from touching such craftsmanship. On a whim, they are gifted to a newly-married cousin in Vienna, and their role changes from the public salon of Charles, to the private dressing room of Baroness Emmy Von Koromla in 1899. Neither Vienna nor Paris proves to be a pleasant home for Jewish families in the period leading up to or after the Great War. Anti-Semitism is engrained in European society, and the disastrous Habsburg war effort hits the Ephrussi family finances hard. The Anschluss with Germany has an even more profound effect. It is difficult for both the reader and the author to discover the fate of his family and the beloved netsuke during these dark years. Perhaps De Waal’s greatest ability is his capacity to plumb the depths of his own horror and anger, yet remain focused on the journey he has undertaken. 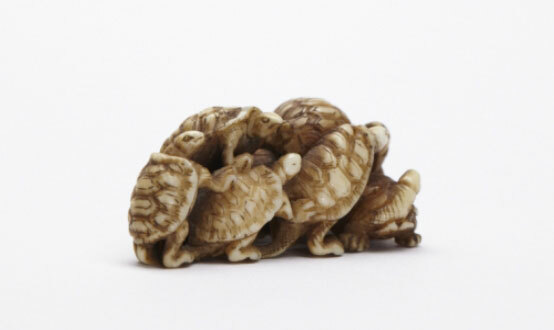 The netsuke survive the carnage, and remain in the family, but there is so much more to tell. The Hare With Amber Eyes deserves to be introduced and recommended instead of being summarized. Firstly, it is very difficult to do so, and secondly, it is unfair to future readers to signpost them on the way ahead. I found it very moving and well-crafted, but overwhelming at times. It is an unusual book; extremely honest and open, with a tremendous knowledge and appreciation of art and life, but sometimes it is hard to view these events with equanimity, or with anything more than sadness. This is definitely one not to miss for lovers of art and history, but it is much more than a nostalgic memoir of temps perdu, it is a story of survival and rebirth.